When I was writing for Rolling Stone in the early 1970s, I was always rewriting until the last possible minute. This was in the pre-fax, pre-email era, and I'd drive to the airport and pay to have my column air-freighted from NY to CA. There wasn't much profit left. 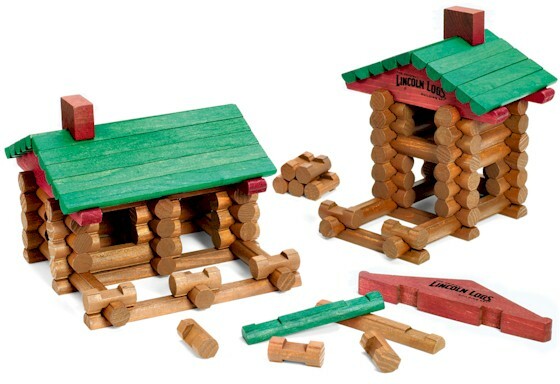 Words are almost toys for me, like a child's building blocks, Lincoln Logs (above), Lego or an Erector Set. I love to play with words, to rearrange them and try alternatives. Rewriting sentences and changing page formatting -- especially now with a computer -- is fun. The danger is that a perfectionist never finishes anything. Seeing good work as Not-Quite-Ready is a curse. Now, as the owner of a small publishing company, I have to be a businessman as well as an artist. I realize that no money will come in if I don't approve a proof and let a book start selling. However, I seldom stop editing. I even re-do old blog entries (including this one). 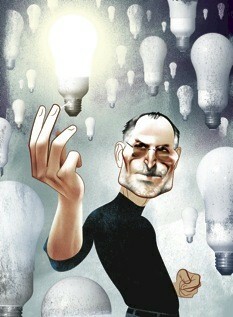 The New Yorker magazine has an excellent article about Steve Jobs, which says that his real genius was tweaking -- not inventing. You can read it for free online. Printing on demand and ebooks make it easy to keep tweaking. Maybe too easy. With POD and e I can make improvements to my books whenever I want to. Unfortunately, sometimes when I should be working on new books, I instead work on old ones. Most of my books go through hundreds of revisions but the first one to be published is good enough to not embarrass me. A person who buys version 2.13 gets a better book than the person who bought 1.28, but I know that each version was "good enough" as of a particular moment. One time I decided to delay a book by a week so I could change a comma to a period and uppercase the next letter. I doubt that anyone else would have noticed the perceived imperfection -- but I could not let it be. Steve Jobs, the ultimate tweaker, may have been more of a perfectionist than I am; and my iPad is better because of his obsession. I hope my books are perceived as better because of my obsession. One of my books is now over five years behind schedule. It's getting better and better. 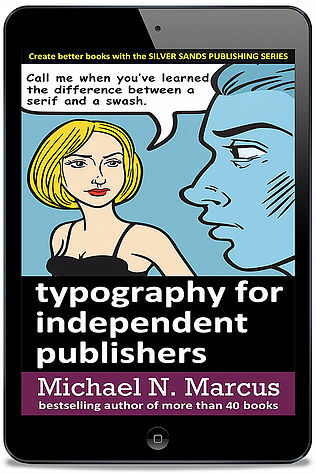 I started writing Typography for Independent Publishers back in 2012. I wrote about 400 glorious pages and then -- for a reason I no longer remember -- I stopped working on it. Last month I looked at the file and realized that I had written something really good that deserved to be published. I started feverishly editing and adding -- tweaking, in other words. I uploaded it to Amazon at the end of January. It has consistently ranked in the Top One Hundred ebooks about book design although I've done no promotion and have not sought any reviews. I'm still tweaking. It's getting better and better every day. It's not quite ready, but if you buy a copy now instead of a few days from now I will not be embarrassed by what you'll read.